One of the best ways to fight isolation as a new parent is to get out of the house. However, for some new parents going on that first outing by themselves can feel like a daunting task. You are convinced your new baby will have a huge wet diaper or scream the whole time, or starve. Here are some tips to make that first outing slightly less stressful. Keep it easy and keep it simple. Skip the car if you can. Take a walk around the block (in which case don’t bring anything), or go to a nearby coffee shop. taying close to the comforts of home can make the whole trip go much more smoothly. Think, too, about where you would feel comfortable nursing, changing a diaper, or how you will feel if your baby is screaming. Even if there is poop on everything. Even if baby cried the entire time. You did it! You left the house by yourself with a brand new human being. Well done! Sometimes it is hard to see anything as a success when you are a new parent, so it’s important that we remember this, and congratulate ourselves for the little things. Taking care of a newborn is hard. 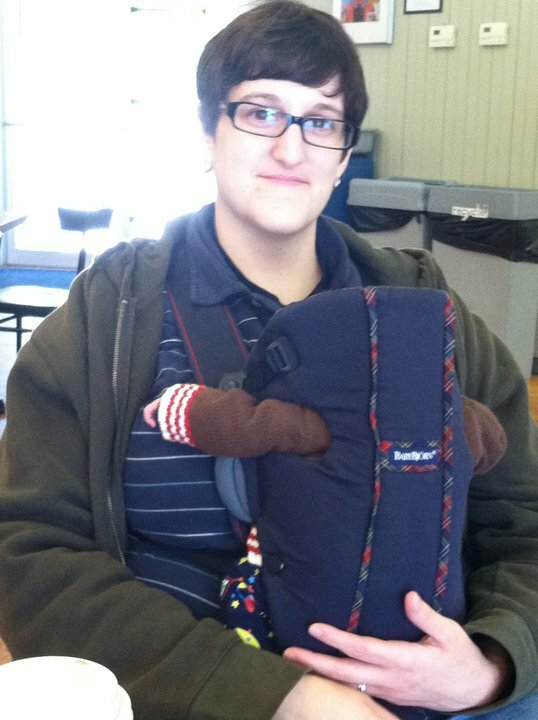 As a postpartum doula I have often helped my clients get out the door for their first outing. Whether it is simply providing company for a walk or helping pack the diaper bag, a postpartum doula can help you feel empowered to go out into the world with your brand new baby. This entry was posted in Postpartum Tips by rachhs2. Bookmark the permalink.